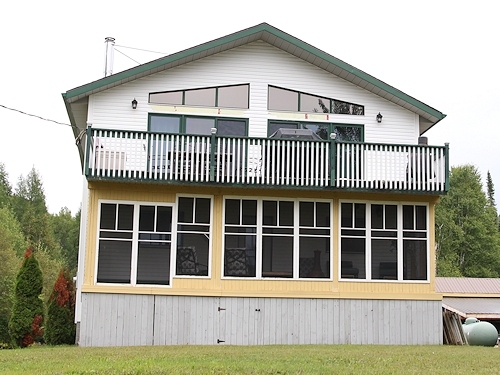 Situated adjacent to Roundtable Lake, Whitefish Lake, Sandstone Lake, Arrow Lake as well as others, enjoy incredible fishing, boating, swimming and lots of other outdoor recreation, or simply relax and enjoy nature at this well-appointed and spacious two-storey country home on nearly one acre! The heart of this home is its open-concept living room, formal dining room and oak eat-in kitchen with island — featuring large picture windows that look out to Roundtable Lake, a wood vaulted ceiling, wood-burning fireplace and sliding doors that lead to an extra-large balcony — all make for great entertaining of family and friends! Below the balcony is an equally large screened sunroom. Fully finished on all three floors, this home boasts three-plus-two bedrooms, three bathrooms, plus, in the basement, a family room and sitting room with wood fireplace. Ceramic-tile flooring is throughout the open-concept second floor. Laminate flooring is throughout the basement. Other highlights include a new on-demand hot-water system, water purification and softener, plus a car port and shed. Roundtable Lake is easily accessible, including a boat launch. Other lakes are not far away. 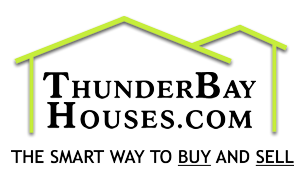 Kakabeka Falls is 45 minutes away, Thunder Bay is one hour. Call today to inquire further or to arrange a personal showing.